This healthy banana blueberry cake is so moist, tasteful and tender, you would never believe a slice of this cake is perfect for a guilt-free snack! No fancy ingredients or complicated baking, just a good old fashioned bananabread with blueberries. YUM! 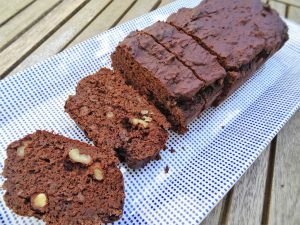 Bananabread is one of our favourite snacks, mainly because of it’s moist and creamy texture. Once in a while we’re changing our recipe for bananabread by adding other ingredients like blueberries, almond flakes, nuts or by using other flour. This new recipe is a recipe for a healthy banana cake packed with blueberries. Besides almond flour we’ve also used oatmeal flour. You can buy this in the store or grind/blend some oatmeal until it’s oatmeal flour. Enjoy baking this lovely and healthy banana blueberry cake (or bread ;-))! Mix the bananas and eggs with a hand blender in a bowl or mix it in a food processor. Add the oatmeal flour, almond flour and baking powder to the bowl. Add the blueberries and almonds to the batter and stir with a spoon. Cover the cake tin with baking paper and pour the batter in the cake tin. Bake the cake for 45 minutes on 175 degrees. The cake is ready when a skewer comes out dry and clean. 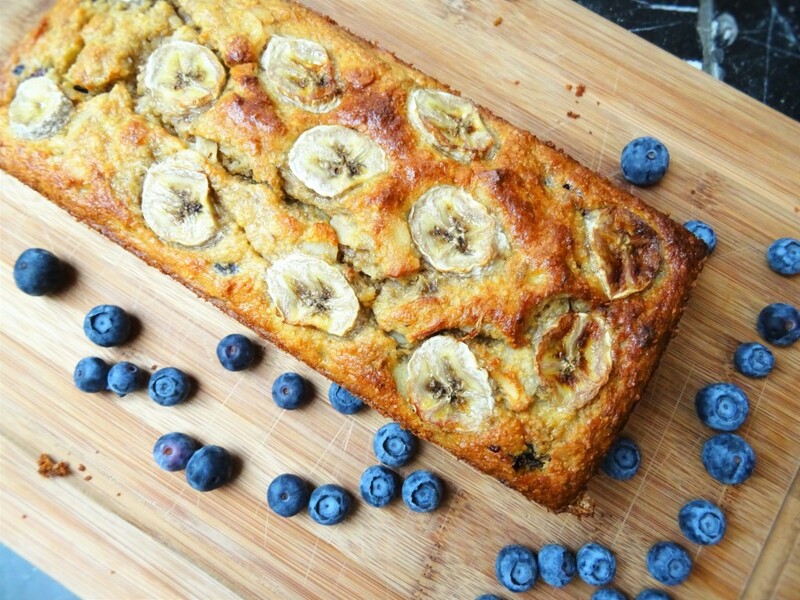 Enjoy your healthy banana blueberry cake! Tip: cut your cake into slices, put the slices in cling film or sandwich bags and freeze them. Now you’ll have a fresh slice of this healthy banana blueberry cake for each day of the week!